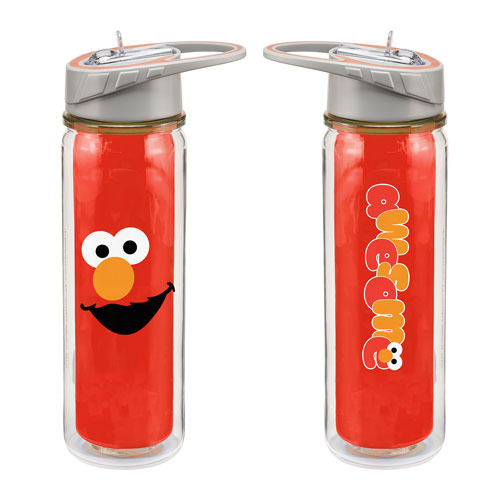 Carry your water around in Elmo style! This Sesame Street Elmo 18 oz. Tritan Water Bottle features a fun image of the red monster from Sesame Street. Holds up to 18-oz of liquid. Bottle stands approximately 9 1/2-inches tall. Hand wash only. Not dishwasher safe. Do not microwave. Ages 8 and up.